indicator to help in both short- and long-term analysis. long-term flow of money into and out of a security. 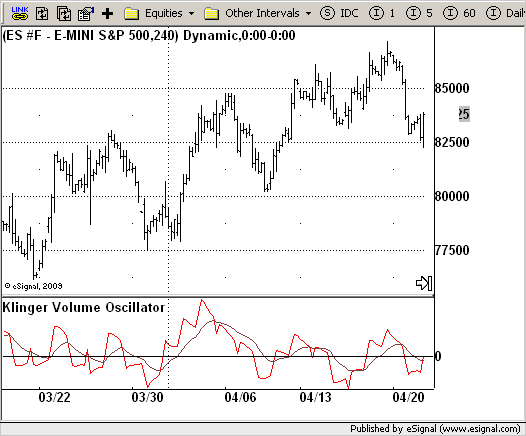 Volume produces continuous intra-day changes in price reflecting buying and selling pressure. accumulation before a bottom develops.